The elm trees around are often overlooked by local people using the park and rightly so as no data on the trees has ever been compiled until recently. Fact is I was the first person to map the trees in the park in recent times. 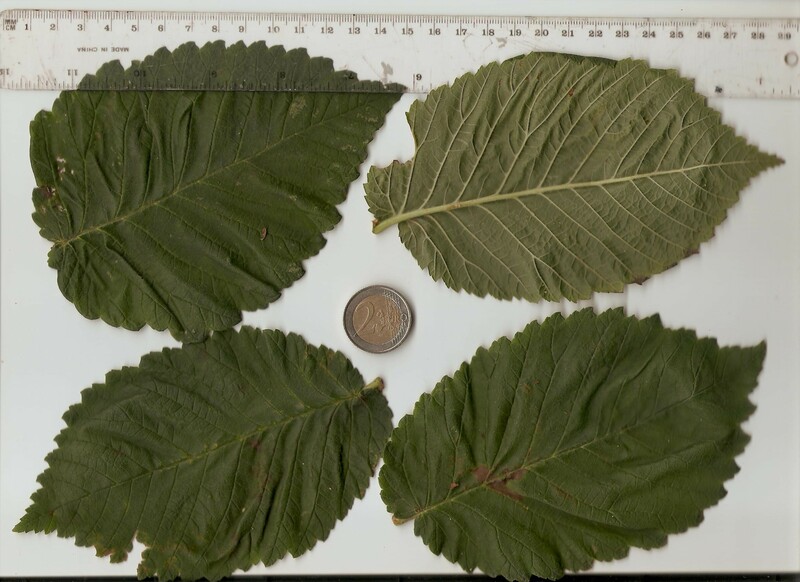 Many of the elms are significant being both exceptionally rare and large for their particular species. The trees invariably may look the same but after many years of collecting data and recording I have now developed a map for the park which proves this park is one of the key cores of the National Elm Collection. 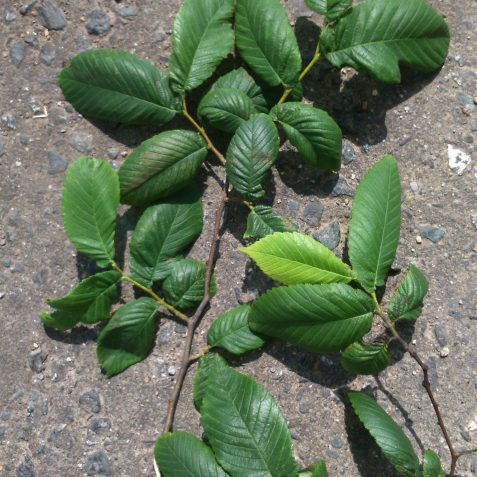 Of the above the ultimately rare trees include the Small-leaved European elm which only occurred in a few collections before Dutch elm disease and is now assumed to be confined to an island in River Danube, Belgrade, Serbia. This is the only possible example left in the UK and is consequently the largest of type. 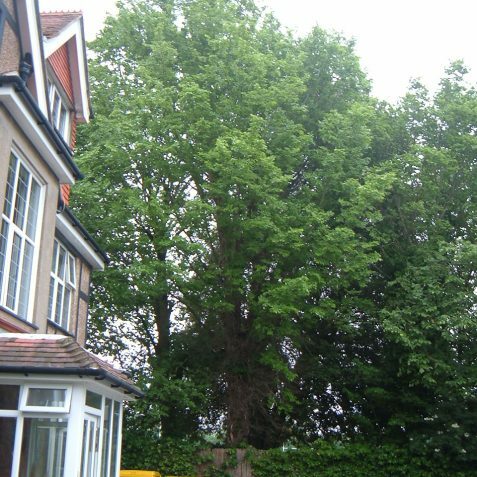 The Hazel-leaved Wych elm is exceptionally rare and is not known to exist in cultivation anymore; this is the only known tree to exist in the world. Klemmer elm was once common in Holland and Belgium. It is only represented in the UK by trees in Brighton & Hove of which two can be found in Hove Rec. 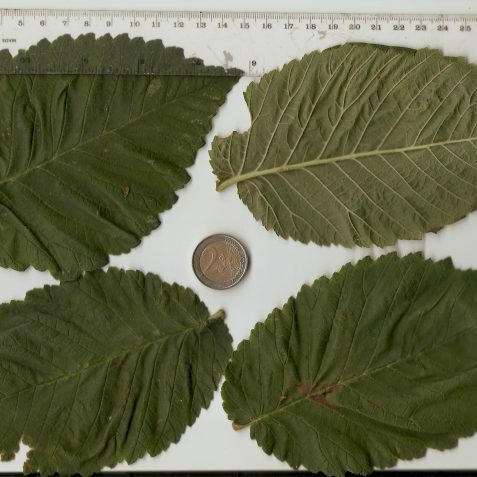 The Pitteur’s elm has very large leaves (see fig. 1) and was once seen in Belgium where it grew furiously fast. Before the 1987 storm there was one very fine tree in the Extra Mural Cemetery in Brighton; the tree in Hove Rec. is the only one left possibly in the UK to date although other examples may exist in Russia. 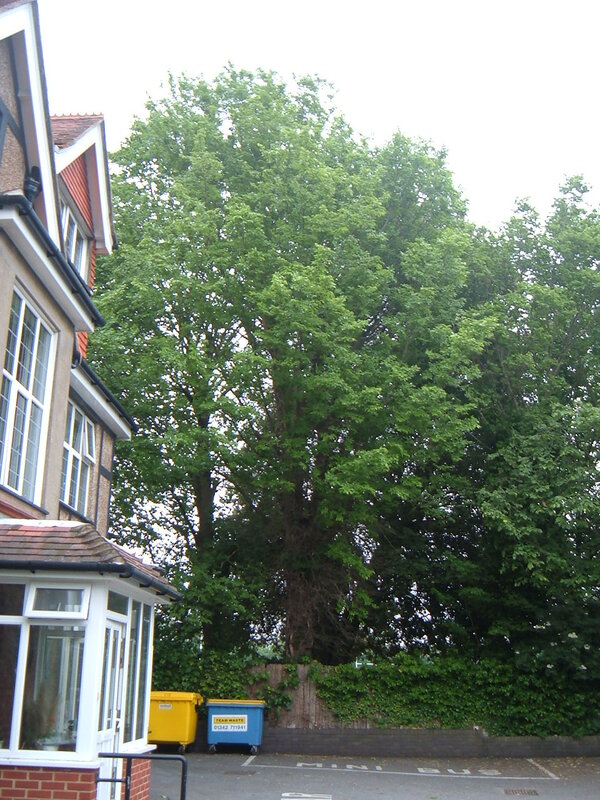 The Kidbrooke elm (see fig. 2 ) is exceptionally rare. It was found in Sussex many years ago and the tree was thought to have been lost since the new form of Dutch elm disease started. Thankfully this is not the case. There are two trees in Hove, one in this park and the other in Hove Cemetery plus another possible in Edinburgh. The Nettle=leaved European elm is a bit sceptical as the leaves are only typical of the type on a few branches. Apparently there are examples left in Europe though personally I haven’t heard of any. 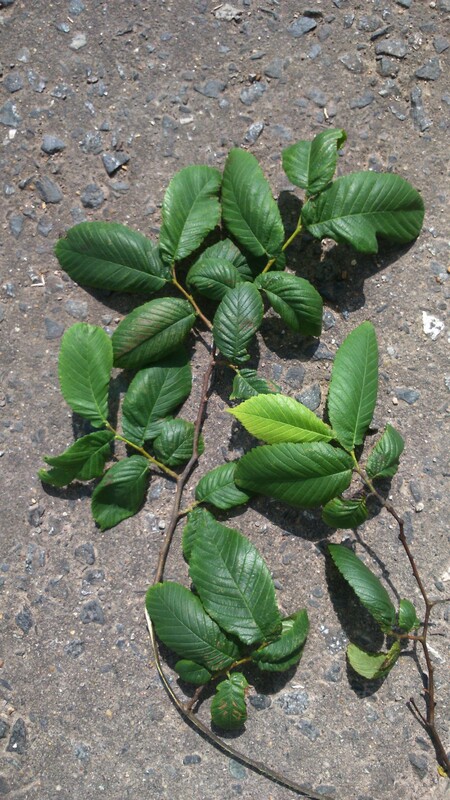 Of the unknown elms there is one with peculiar hooded leaves found on the east side of the park (See fig. 3). Hove Recreation Ground is constantly surveyed for more data and every so often cuttings from the specimen trees are propagated by a Dutch nurseryman who makes frequent visits to Brighton and Hove to propagate rare elms (I will be doing a report on the city’s elms in general very soon and will mention the Dutch nurseryman in more detail). Anyone interested in a PDF of the map I did along with a full list of the index that accompanies the map can contact me through email: ‘ulmusenthu@gmail.com’ . Thank you for your very interesting and detailed article, Peter. I appreciate the information you’ve shared and wish you well in your future research. Our elms have played a major part in making many of our local parks so special. Up to now I hadn’t been aware of the many elm species to be found and their subtle differences ; what rarities you’ve brought to our attention ! Knowledge of this has increased my respect and interest. I hope to visit Hove Rec. in the near future. Several grand elms have sadly been lost along the Preston Road of late. I haven’t found out whether the advanced age of the trees has played as much a part of their demise as the dreaded Dutch elm disease itself : perhaps you could answer this ? Had a second row been planted years ago – in preparation for this eventuality – then the gaps wouldn’t quite be so pronounced as they unfortunately are.